Win a Nintendo Wii with KFC Chewy Cheese! Stretch the Fun by taking home a new Nintendo Wii or PSP! 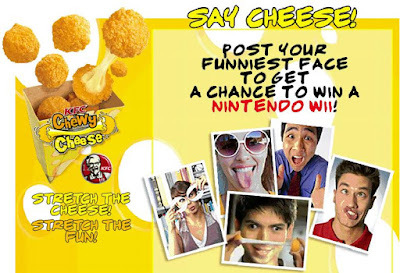 Simply post your funniest face (e.g duling, wacky, etc), get your friends to vote or like it and have a chance to win a Nintendo Wii, Sony PSP and KFC Gift Certificates! 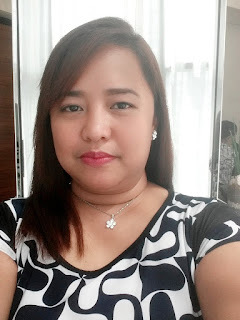 To post a photo, go to the wall of the Chewy Cheese Fan Page and upload photo. Entries have to be original. Entries may not be composed or edited through Photoshop. Post as many entries as you can! Winners will be announced on May 5, 2010 through the site.